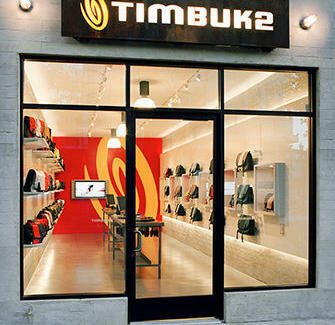 Local bag-ufacturer Timbuk2 is now rocking a 32" LCD touchscreen that lets you e-customize a bag right there in-store. The new gizmo lets you pick from six different types of bag (messenger, pack, etc.) all customizable with dozens of colors/fabrics, and sweet add-ons like a shoulder-strap-affixable "Beerdalee" for beers, but not shandies, cause no one wants that swinging from his backpack.